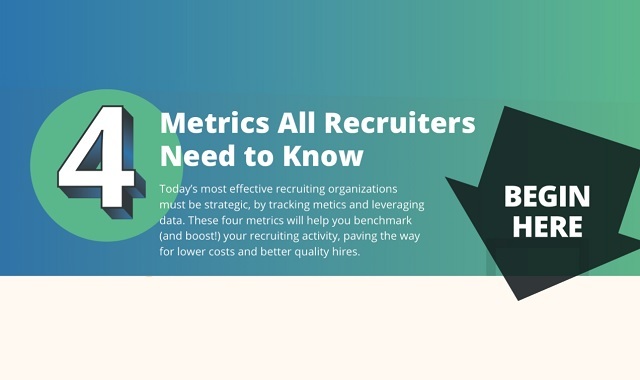 4 Metrics All Recruiters Need to Know #Infographic ~ Visualistan '+g+"
Today’s most effective recruiting organizations must be strategic, by tracking metics and leveraging data. Partnered with Appcast, we determined these four metrics will help you benchmark (and boost!) your recruiting activity, paving the way for lower costs and better quality hires.